The Caucasian Leopard, also called the Persian Leopard, is one of the biggest of the eight recognised sub species of leopard. All the leopards have stocky bodies with comparatively short legs; their total body length (including tail) can be up to 190cm and their weight up to 70kg. Coats have a range of base colours from yellow to golden brown with paler fur under the chin and across the belly. They have black spots on the head, limbs and belly and spots arranged in rosettes across the back and flanks. Their spots give unique coat patterns which can be used to identify individuals. Diet will vary across their range and leopards can adapt what they eat to the available prey species. 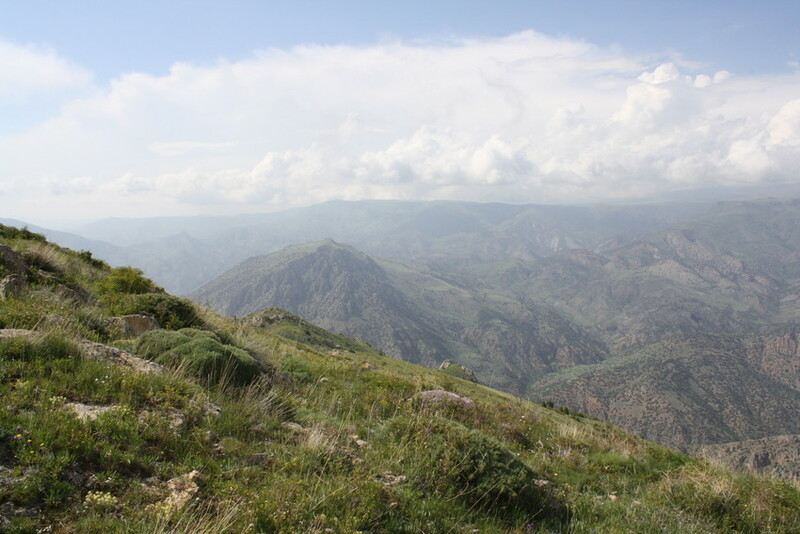 Across Armenia, Iran and Turkmenistan typical prey will include species such as Bezoar Goats, Wild Boar and Mouflon. Leopards use vantage points such as rocky outcrops to locate their prey and will then stalk them, waiting until they are within 3-10m before attacking. Generally leopards are nocturnal although, in the absence of other large predators such as lion and tiger, they are reported to be less nocturnal. Little research has been done in the regions inhabited by the Caucasian Leopard. They are solitary, males and females only come together to mate, and females usually give birth to one or two cubs that stay with her for up to 18 months. They communicate by making a rough, rasping sound which they use to advertise their presence and for contact between individuals. They also growl, roar and hiss and mark their territory with urine, faeces and claw marks. Leopards inhabit a range of different habitats. 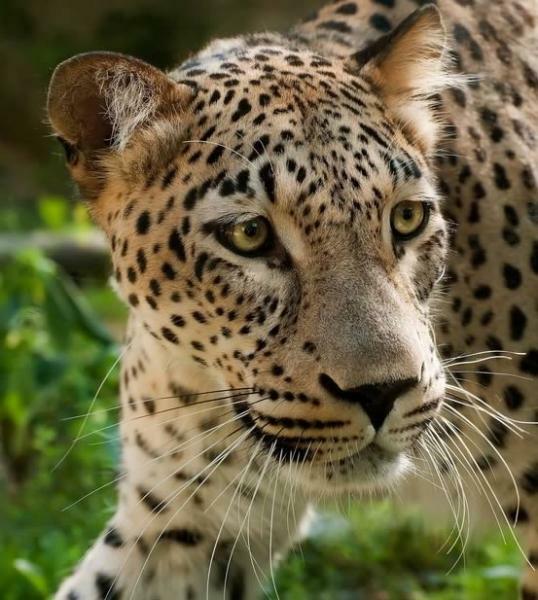 The Caucasian Leopard sub species is found across several different countries including Iran, Armenia, Turkmenistan, Afghanistan and Georgia. They live mainly in remote, mountainous habitats which can range from dry and arid areas to forested regions and even extend up into snowy mountain ranges. There are thought to be fewer than 1,300 Caucasian Leopard left in the wild. The remote and mountainous habitats they inhabit make them very vulnerable to habitat fragmentation and isolation and they also face a variety of other threats across their range. These include reduction of prey species through poaching, loss of habitat caused by deforestation and over grazing by livestock, conflict with livestock owners, heavy military presence and fortification of borders and being hunted as trophies or for the fur trade. Although leopards are assessed by IUCN as a single species, and classed as Vulnerable, the Caucasian/Persian leopard subspecies is singled out as Endangered.